Finally, a sweetener that is not a sugar at all, so you no longer have to feel guilty about using it. Stevia is safe for diabetics. 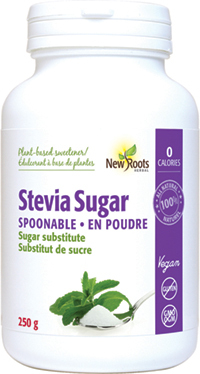 Used as a sugar replacement, stevia reduces high blood sugar levels, does not promote tooth decay, and has no calories. It is also ideal for baking and cooking.